I’m still deep in the editing phase of “Buckminster Fuller and the Bay Area: A Relationship in 14 Fragments (inspired by the Dymaxion Chronofile),” the video installation I’m creating at SFMOMA. The show opens on March 29th, so the clock is ticking! One of the hardest things about any film project is eventually having to cut little details or pieces of footage that you’ve fallen in love with. Someone once referred to this part of the process as “killing your babies,” and it’s true. 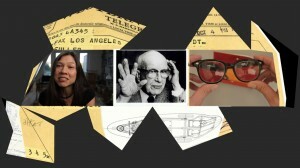 In this case, something that broke my heart recently was having to cut a little section about Buckminster Fuller getting an honorary degree from the California College of Arts and Crafts (now known as CCA) in 1966. 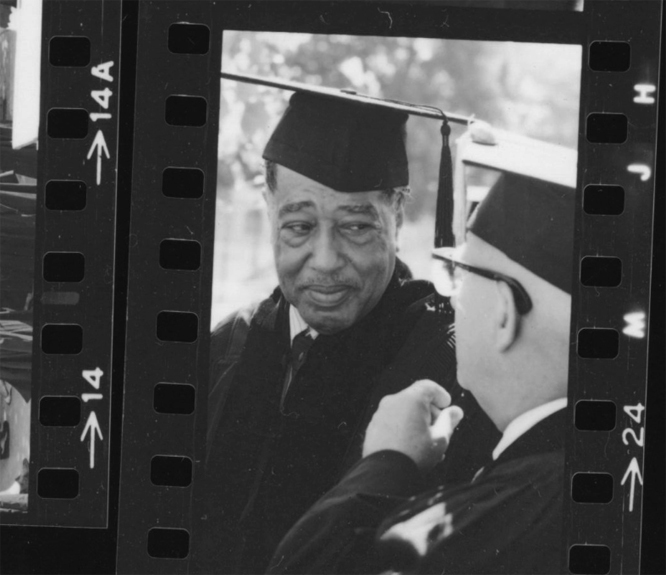 Also getting an honorary degree that day was… Duke Ellington! 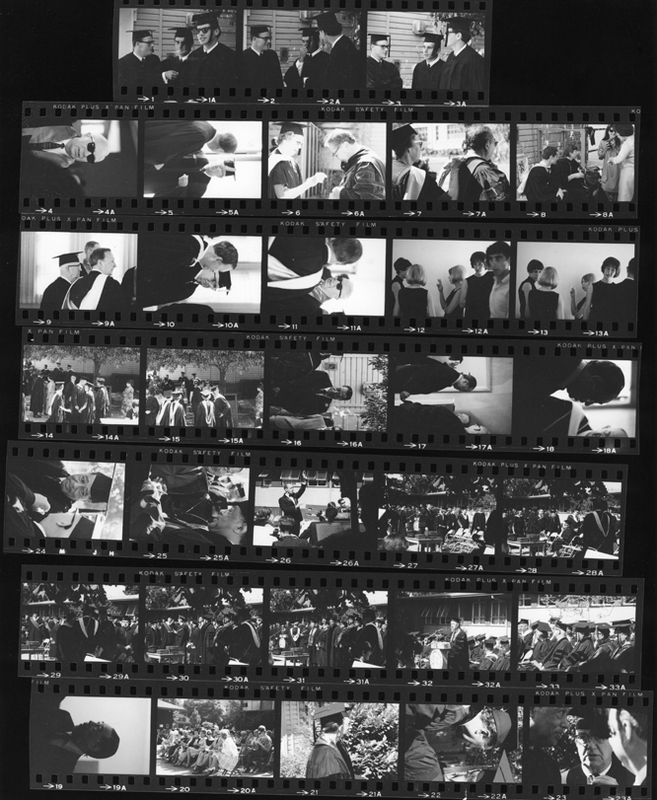 And CCA had a bunch of photos in their archive. 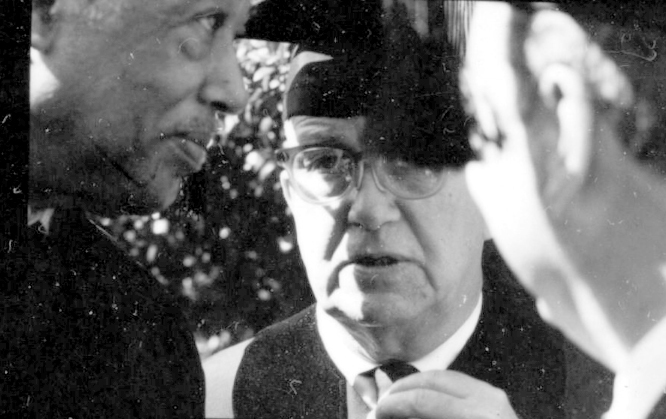 Buckminster Fuller and Duke Ellington––can you imagine what they talked about?!! I even found a (slightly muddy) audio recording of Fuller’s talk that day. Wow. I loved this little moment, but alas, it just didn’t fit in the overall flow of the piece and it ended up on the cutting room floor. 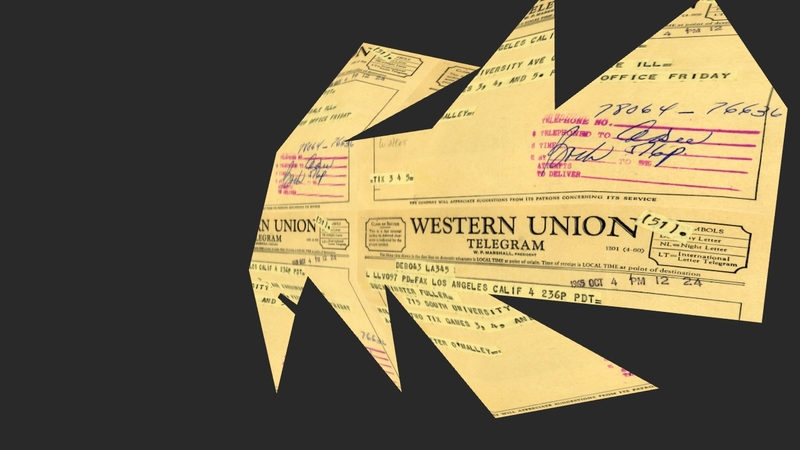 I guess that’s one of the good things about blogs: something like this that used to languish in obscurity can now make it’s way into the world… or at least onto the Internet.